78 cards in a standard cardboard tuck box + a 249 page softcover companion book in Spanish, housed together in a larger cardboard set box. No title card. No LWB. 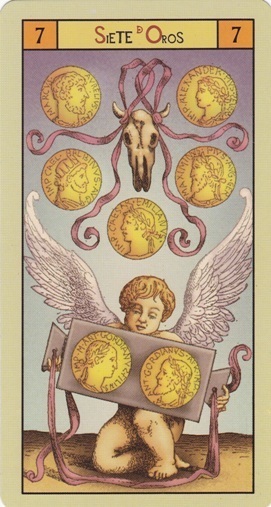 Cards measure 12 cm tall x 6.3 cm wide. 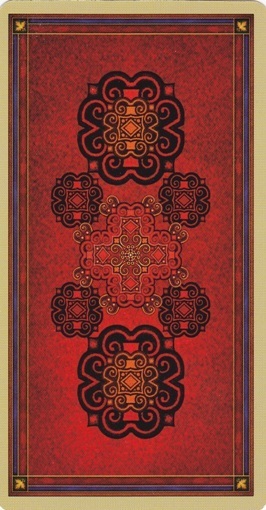 The card stock is marvelous -- very flexible, with a lightly glossy finish. La Justicia is 8 and La Fuerza is 11. El Loco is numbered 0. 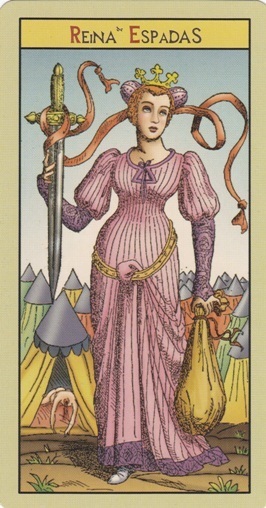 Suits are Oros, Copas, Espadas, and Bastos. Courts are Sota, Caballo, Reina, and Rey. The minors are beautifully illustrated and evocative, but not fully scenic. 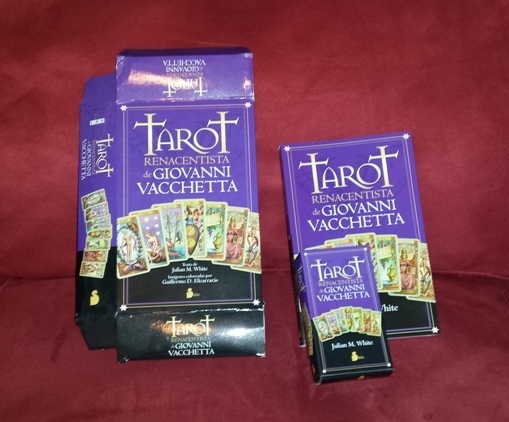 The text on the back of the deck box, companion book, and set box is all identical -- thus, I've scanned only the smaller deck box (the other parts of the set are shown in the photo). The ISBNs on the deck box and set box differ slightly (both are listed here). The book has no ISBN. 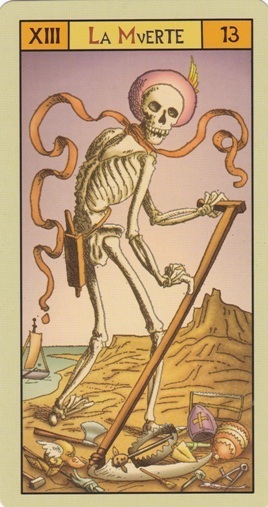 No date/year of publication appears in or on the deck, deck box, companion book, or set box. I purchased my copy in 2013, and Amazon lists it as having been published in 2013 (specifically, available on April 1, 2013). Amazon.com currently lists this set as available for $30.87 USD. 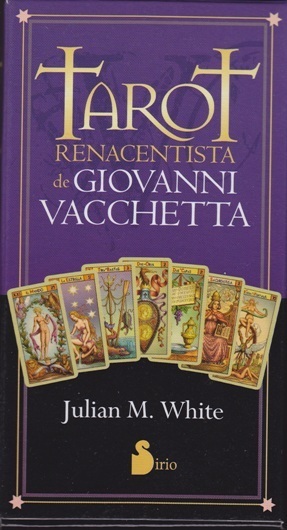 Tarot Renacentista de Giovanni Vacchetta by Julian M. White -- 249 page, softcover companion book. Illustrations in black and white. 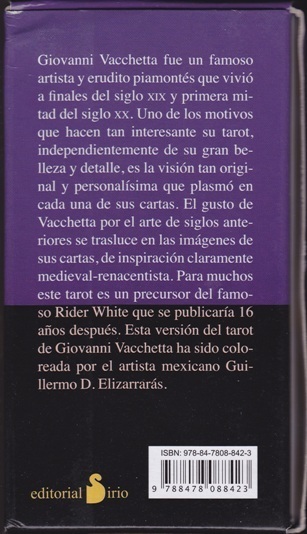 Julian M. White (author), “Tarot Renacentista de Giovanni Vacchetta,” The Osborne Tarot Collection, accessed April 21, 2019, http://tarot.zerosummer.org/items/show/281.